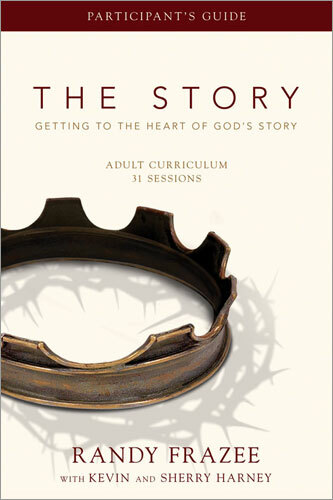 The Story video curriculum gives groups of all sizes the opportunity to learn, discuss, and apply what they have experienced during The Story 31-week church-wide experience. Pastor and author Randy Frazee presents 31 ten-minute teachings on how the story of Scripture intersects with the story of your life, and this participant's guide will help you record your journey and reflect on the powerful message of God's story. Through 31 video sessions, The Story will open your eyes to The Lower Story, our story, which is actually many stories or men and women interacting with God in the daily course of life; and the Upper Story, God's story, which is the tale of his great, overarching purpose that fits all the individual stories together like panels in one unified mural. Discover the heart of God's Upper Story - his master-plan unfolding in the lives of the Bible's characters as well as in your own life - and experience the joy that comes as you align you story with God's.